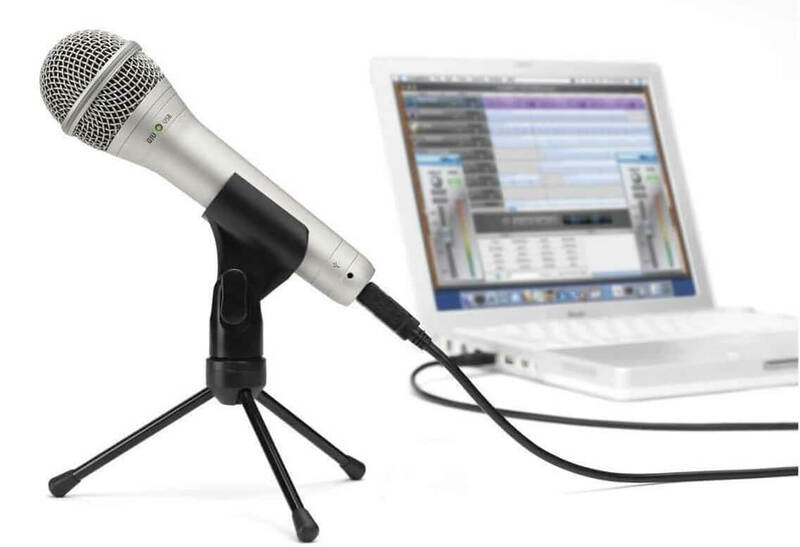 Home » Comparison » USB Mic vs Audio Interface – Which One is the Better Option for you? A few years ago, if we needed to record something, we had to go through a plethora of steps. Now, the advancements in technology are such that they allow us to do all this and more without moving an inch. This luxury is not devoid of side-effects, though. Today, the problem is that we have too many choices in every department and taking a decision is getting increasingly difficult. Take sound recording itself, for example. You have USB mics and audio interface. Both have their advantages. So, which one do you pick? We can help you with this one! Read on. An audio interface works to improve the sound quality of a device. Some options may let you connect microphones as well. With an audio interface, you can be guaranteed that the recording and final delivery will be much smoother and very close to the actual voice. If you are into audio production, you will need an audio interface without a doubt. Professionals swear by this hardware and majorly use them for very high-quality sound or when they want to route multiple signals from the computer. USB mics are quite common. They consist of a diaphragm and a capsule, and you can plug one of them directly into your computer through the USB port (thus the name). It makes digital recording a piece of cake and works best to deliver excellent sound quality. Those who love hosting podcasts, doing interviews & voiceovers will need a USB mic for sure. It is all about the purpose and application! You can see clearly that each serves a specific purpose. 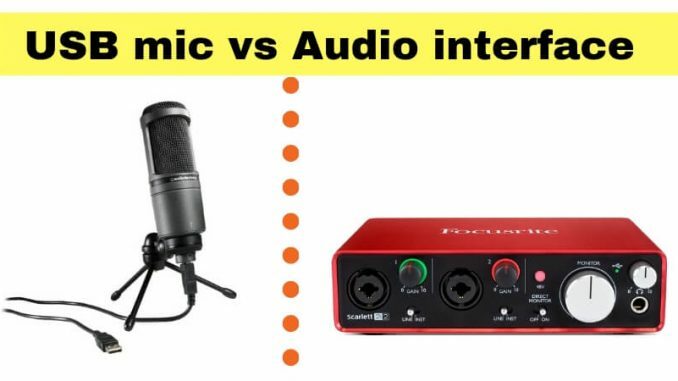 So, there isn’t really a point in talking about USB mic vs audio interface. If you want to record music, you need an audio interface. If your interests lie in podcasts and interviews, you should get a USB mic. Simple! The search is not over yet! Once you decide between USB Mics and audio interfaces you should also think about the brand and features. Always choose a reliable brand with good reviews. Otherwise, you will have to compromise on quality. Also, compatibility, resolution, format, and transducer are important points of consideration. Cost is another major factor, of course. Don’t be daunted when you see big price tags. Do your research to find something good that fits your budget. If you are a professional and take your sound/music recording seriously, even a slightly expensive interface or mic shouldn’t hurt you because it is an investment. We hope you make the right choice through and through. All the best!